Big Bud has always been famous as a cannabis strain with staggering yields. Her superior Indica pedigree was carefully refined and steadily improved over many years and has now been perfected for release as an all-female seed strain! The first clone-only Big Bud was a sturdy Afghanica infused with Skunk genes - a hybrid possessing amazing vigour and unexpected, record-breaking production. Through extensive research and testing, Sensi Seeds was able to take the Big Bud clone back to her roots by breeding with a rare and special Afghani, resulting in the original, award-winning Big Bud seed-strain. Breeding continued, with the aim of producing a reliable, uniform feminised version of this super-productive variety which, after years of work, is now available to the public! Sensi´s all-female hybrid is as vigorous and potent as ever and has received a further refinement in aroma - a crisp, spicy undercurrent runs through her sweet-fruit flavour. Resin production is prolific, even on the inner surfaces of flower clusters, making for a powerful physical stone that´s brightened by the high of Skunk´s Sativa ancestors. Growth is very strong, yet height gain is easy to control and predict. Finished plants can be kept under 30cm if flowered as seedlings, while huge plants can be easily achieved with a longer vegetation time. As with the regular version, enormous production remains the central feature of feminised Big Bud. On both small and large plants, flower clusters are huge, sparkling, and wonderfully solid! Big Bud Feminized is a is a feminized strain, which will only produce plants that flower as females..
Big Bud Feminized has won a Cannabis Cup or another Cannabis Award. The Big Bud Feminized strain has large proportion of Indica genes in its background. Big Bud Feminized will have a comparatively short flowering time. Big Bud Feminized will have average height gain during flowering. Big Bud Feminized can produce an outrageous amount of weed, but may require a little extra attention. 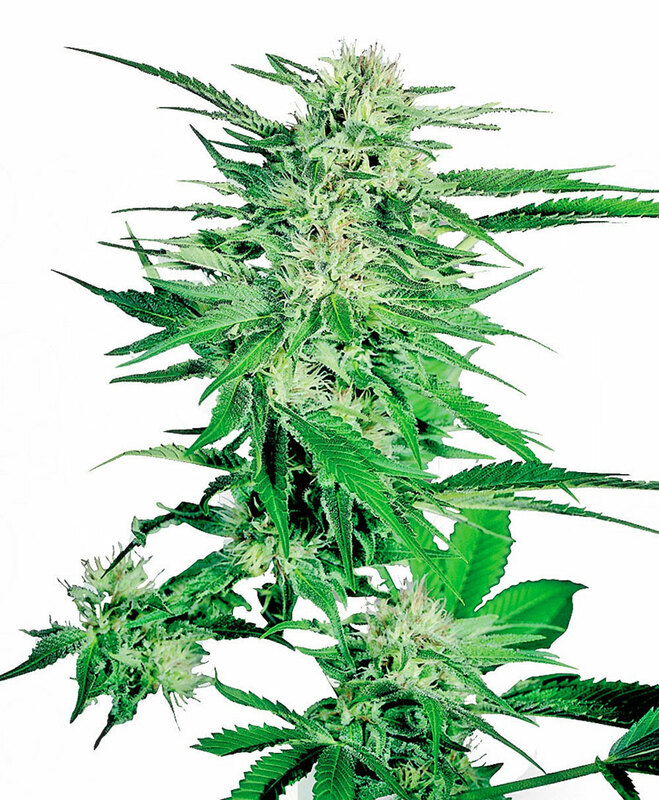 Big Bud Feminized can be grown outside in a warm, sunny climate with a long summer. Big Bud Feminized Seeds is added to your shoppingcart! Big Bud Feminized Seeds is added to your wishlist!